What is Social Media Advertising? In a saturated world of social media, it is imperative for companies to bring their advertising to the social sphere. Owned social profiles and strategies focused on organic growth used to be enough for businesses to grow, but now, a paid social strategy has become the norm as companies and brands focus on their digital presences. While advertising on social varies depending on the platform or network, the goal is largely the same: to boost the amount of people in your specific target audience who receive your message. Previously, companies’ social content was mostly limited to their own followers, making it hard to grow their potential clientele on social. When social platforms such as Instagram and Facebook started changing their algorithms, it made it even more difficult for brands to spread their message. On Facebook, only 35 percent of friends and people who like the page see your content. With paid social placements, companies can reach a much larger audience. 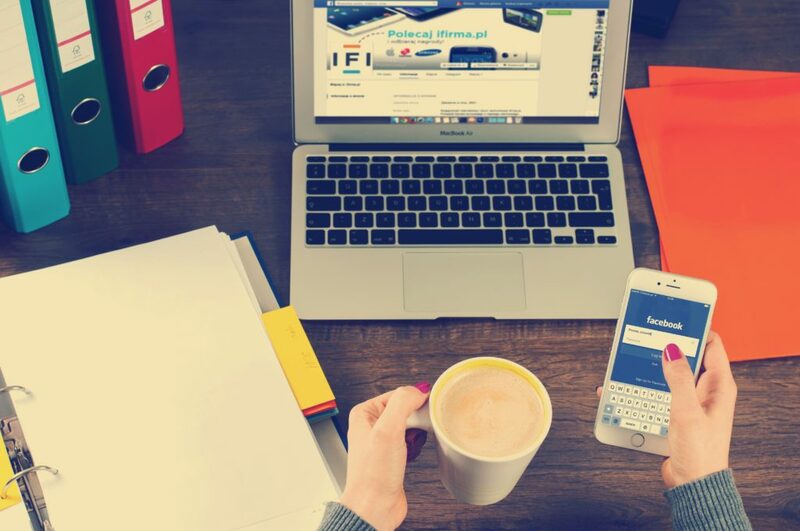 Whether you’re looking to promote a product on Facebook or boost a business on Instagram, a social budget, no matter how small, can revamp the way your business reaches consumers. There are many different ways to advertise on social. What platform and method you choose is up to you, and will vary based on your audience, budget and goals. Facebook advertisements are paid placements that appear on users’ news feeds. These ads can take on many forms, including videos, photos and carousels/slideshows. Lead ads, which make it easy for users to share their information, are great for signing up for newsletter subscriptions or free trials. Dynamic ads, which use metrics and data to calculate their audience, help target users that have already demonstrated an interest in your business, product or service through their online activity. Collection ads are great for retail advertising, as they allow you to display multiple items in conjunction with a main ad photo. Not to be confused with traditional Facebook advertisements, boosted posts allow you to share your organic owned content with a larger audience. A boosted post just promotes your own profile’s content to the target audience. Advertising in this fashion can be helpful if you are trying to grow your audience, or if you’re looking for a simple, budget-friendly way to expand your reach. A new feature of Facebook advertising allows businesses to target consumers through Facebook’s messenger app. This strategy is a great way to retarget consumers, especially in a retail space. These ads can remind a consumer about an item left in their online cart or a great way to advertise apps or other easy-to-access mobile products or services. Facebook is one of the most widely and heavily used social platforms. That being said, if your target audience is very broad, or specifically targeted to the over-30 demographic, Facebook is likely the best way to reach your ideal consumer. While more women than men use Facebook, it is also the second most used platform for men, second only to YouTube. Head to Facebook Ad Manager to get started. Once you log in, choose an objective, a campaign name, audience and placements. A newer addition to the social advertising world, Instagram Story ads are hugely popular on the platform. When a brand boosts their story, it appears at the top of the timeline’s homescreen. Since Instagram users are engaging with videos more than still images now, these ads can be a great way to engage users. Especially with Instagram’s “swipe up” feature, which direct users to outside links, it’s easier than ever to get consumers to engage with your brand. Traditional Instagram advertisements appear within a user’s scrolling timeline, as opposed to the top of the screen among the stories. These can consist of photos, videos, carousels or collections. Since Instagram is a heavily visual platform, Instagram ads are ideal for visually or aesthetically pleasing ads, often in the retail or travel space. While Instagram is most certainly growing among older demographics, it is definitely a stronghold in the millennial and Gen Z audience. If your target consumer is in-between the ages of 18 and 29, it is more likely to be a good fit. Also, more women use the program than men, even though around 30 percent of men are active on the app. In order to create Instagram ads, you must have a business profile, which is free to create with a pre-existing Facebook page. If your company does not already have a Facebook page, set one up here. Once you have your profile set up, you can create an ad, choose and budget and publish. Twitter Ads appear in timelines like regular tweets, with a subtle “sponsored” or “promoted” message at the bottom. They are more subtle than Facebook or Instagram ads, but have proved to be successful, improving engagement by 151 percent last year. Twitter ads are great for selling products, with the platform reporting that a substantial amount of users bought a product after being exposed to an ad over 30 days. If you are trying to sell a product without seeming like it, Twitter might be the right place for your ads. Like Instagram, Twitter is more popular among the under-29 demographic.It is just as popular among men as it is among women. So, if you are looking to appeal to both genders in a not-so-saturated ad space, Twitter is an ideal platform. Twitter makes it easy to advertise. Go to Twitter for Business and decide whether you want to promote your own tweet or if you want to publish a new ad. They’ll guide you through the process from there. Pinterest ads, known as promoted pins, promote regular-looking pins to a wider and broader audience. While the pins display a “promoted” tag, the tag goes away if a user pins to their own board, promoting organic growth. As Pinterest is largely an idea-based platform, this is great way to advertise unique products or content. Due to the personalized nature of Pinterest boards, it is easy to target promoted pins to your ideal audience. Pinterest is dominated by women, with more than double the amount of men using the platform regularly. Additionally, these women are spread out between ages 18 and 64. The Pinterest market for advertising is very niche, but if your ideal consumer fits this profile, it can be a hotspot for you to promote your products. Once you create a business account with Pinterest, it is easy to hit the ground running. Just choose your content, tailor your audience and set your engagement goals. LinkedIn ads are a great way to expand your professional network. LinkedIn is the way to advertise when you are looking to reach a professional audience to drive traffic or get new leads, If you are interested in B2B, or business-to-business marketing, it is the top platform to consider. If you are looking to reach a professional audience, but want to make your content more personal, sponsored InMail might be a good option for you and your business. Sponsored InMail works similarly to email marketing and delivers messages directly to a user’s message inbox. Pro tip: The clickthrough rate is highest when you keep your content to under 500 characters. LinkedIn reports the most effective calls to action to include in ad copy are Try, Free, Today, Click and Apply. LinkedIn is pretty popular among all age ranges and has an equal split of men and women. LinkedIn’s unique demographic lies in income, with the plurality of users earning an annual income of $75,000 or more. This socioeconomic factor is important to consider when targeting your audience. LinkedIn’s Advertising portal makes it easy to tailor your ads to an audience and monitor your costs and engagement. Head over to LinkedIn’s business site to get started. Snapchat, a photo messaging app, is another way to engage with a visually-oriented audience. Sponsored story content displayson a Snapchat user’s discover page and offers anywhere from 3 to 20 snaps. These ads are a great way to dive deep into new products and share details. Additionally, these ads are great for video content. The Snap Publisher makes it easy to create content on-the-spot. Snapchat’s “create your own filter” tool allows businesses to easily create a fun overlay for SnapChat users’ photos. People use filters over 3 billion times a day, which makes this an easy way to get consumers to engage with your ad. These filters can be specified to a geolocation, making them ideal for local products, places and events. Filters are normally used for fun, or to give context to a snapchat, so make sure your filter is eye catching and not too serious. Nearly 70 percent of Snapchat users are under the age of 29 and 18 to 24 year olds dominate the platform. Women use Snapchat more than men, but the network is popular with both genders. If you have a broader or older audience, Snapchat ads might not be the most effective, but for a specifically young audience, it is an advertising sweet spot. Snap for Business’s Ad manager keeps all of your ad campaigns on track. As a mobile exclusive platform, Snapchat makes it easy to create your ads online or on your mobile device. One of the advantages to advertising on Snapchat is that you can create, target and promote all on the app. Youtube’s video ads play before, during and after YouTube videos. Sometimes they preface the video, and sometimes they run in between video streams. These ads can run anywhere from 12 seconds to three minutes. They are great for striking commercials or strong visual content, including trailers. In addition to traditional video ads, which can vary in length and have the option to be skipped after a few seconds, bumper ads are brief, under-six-second video clips that cannot be skipped. These bumper ads are great for content that gets the message across quickly and does not squeeze too much into a short window. Unlike YouTube traditional ads, discovery ads require users to click on them as opposed to autoplaying. These ads show up as thumbnails on the homepage and within search results. These ads are great for content that is automatically compelling and intriguing enough to make a user click out of their way to watch. YouTube is the only platform that is used by more men than women, but is used heavily by both genders. Additionally, YouTube’s audience captivates adults under the age of 64 and 73 percent of U.S. adults use the platform. These demographics make YouTube an ideal place to cater to a male audience, or for a product, service or business to market to a broad audience. YouTube’s ad portal can walk you through the steps and help you decide what ad works best for you and your business. Additionally, they offer a hotline where you can get help making an account and starting out a campaign. Why Advertise on Social Media? Nearly 70 percent of adults use social media. Adults aged 18 to29 dominate the social scene, with 86 percent being active consumers of social media. By choosing not to advertise on social media, brands and businesses can miss out on an opportunity to reach a wide variety of audiences. Additionally, with so many companies headed to social to grow their business, those that choose to abstain are falling behind their competitors. While having owned social media pages is just as important as ever, it is no longer enough. In order to grow your business at a competitive rate, social advertising must be an active part of your media and advertising plan. Not only will advertising on social boost your audience and engagement on your owned media, it will also help to grow your business offline, as well. How can 1893 Brand Studio help you with your social media campaign? At 1893 Brand Studio, we want to ensure you get the most engagement possible. How you engage with your followers showcases your business identity, and there are many ways to do it.Effective organic social media takes a lot of time and effort, and a paid social strategy can get confusing. Our social media savvy team is ready to help. If you still have questions about how to increase engagement or advertise on social media, contact us. 1893 is a student-powered agency from the Daily Tar Heel, with quality editing and oversight to ensure excellence. Contact us for a consultation today. Copyright © 2019 1893 Brand Studio. Powered by WordPress. Theme: Ample by ThemeGrill.